You are here: Home / Blog / Staffing / Onboarding Doesn’t Have to Be Tough: What Are the Essentials? Onboarding Doesn’t Have to Be Tough: What Are the Essentials? The concept of onboarding can include a large number of activities. And, the sheer volume of options can make the entire process seem cumbersome. However, failing to onboard employees properly can lead to issues down the road, so it is imperative to find a process that meets their needs without becoming a full-scale event. Luckily, it is possible to create an onboarding program that covers the essentials while leaving out any unnecessary extras. Instead of avoiding the process entirely, here are some tips to narrow it down to just the essentials. Your mission when creating an onboarding program should be to decrease the learning curve associated with fitting into the work environment and associated position. This allows the employee to become more comfortable with their work while also increasing the rate at which they become a valuable, contributing member of the team. Surprisingly, this doesn’t always involve telling them how to do their job. Instead, make sure they know where important resources, including other employees and equipment, are located within the facility. Make formal introductions to the people associated with their organizational hierarchy, including other team members, supervisors and managers. Then, familiarize them with the locations of commonly needed equipment, like scanners and copiers, as well as basic office supplies. The intention is to get them comfortable with the people and the space. That way they don’t feel stuck just because they don’t know who to ask for help or where to find the basic tools they need. New employees often place more value on mentoring opportunities and on-the-job training than anything else during the onboarding process. This means focusing on providing relevant and organized information should be a priority for any company bringing in new personnel. One approach that can help make both of these goals more accessible is to assign incoming employees a buddy who works in a similar position. They’ll have a specific individual who will help them understand the idiosyncrasies of the position, including how certain tasks are traditionally managed. You should also cover any corporate policies and procedures that affect their position. This includes items like password policies, trouble ticket processes, email protocols, internet usage policies and standard communication methods. Additionally, review basic expectations associated with the position including anticipated workloads, goals and milestones, and any reporting requirements. Some companies believe the onboarding process needs to involve more than sufficient training and familiarizing new employees with the workplace. This leads businesses to spend money on perks like free food, which are simply not a priority for the employees participating. Anything that does not help employees become more comfortable with the environment or assist them in shifting into their position more efficiently can often be removed. Ultimately, new employees will appreciate the efforts directed towards functional knowledge rather than a superfluous perk hands down. 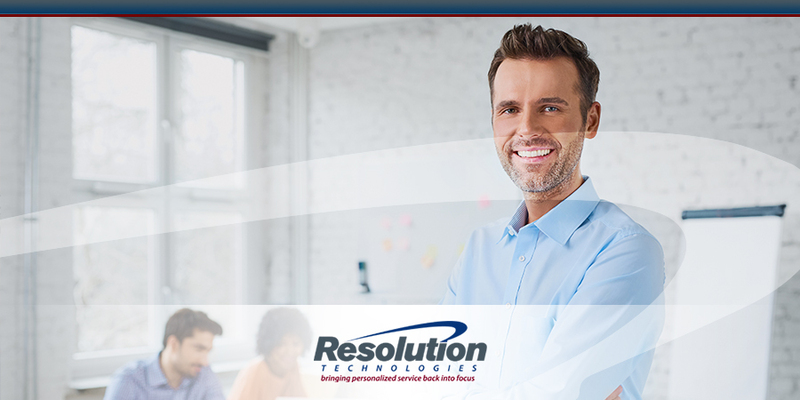 If you are looking for more tips about managing the onboarding process, or are looking to hire a new employee, Resolution Technologies can make your entire hiring process more efficient. 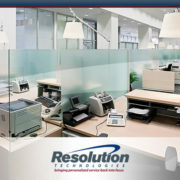 Contact us and see how our expertise can work for you. 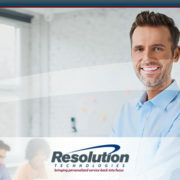 https://www.resolution-tech.com/wp-content/uploads/2017/03/2-no-text-The-Essentials-Of-Effective-Onboarding.jpg 450 900 Resolution Technologies https://www.resolution-tech.com/wp-content/uploads/2014/04/logo.png Resolution Technologies2017-03-16 11:41:072017-03-09 11:45:04Onboarding Doesn’t Have to Be Tough: What Are the Essentials? 3 Simple Things You Can Do to Grow Your Job Into a Career Use Big Data More Effectively!